The site is located in Wangdian district of Fuyang City, an agricultural area south of the City Centre currently under development. 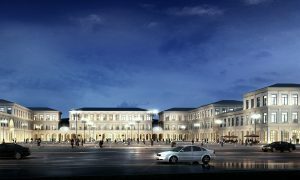 The project is intended to play an important role in the urban build-up of the district, to ensure quality of life and business opportunities as well as leisure activities by a total construction of more than one million square meters. 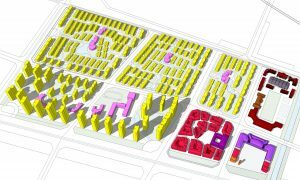 In agreement with the developer and in accordance with the intended investment strategy, the planning is inspired by traditional German town structures and residential areas. 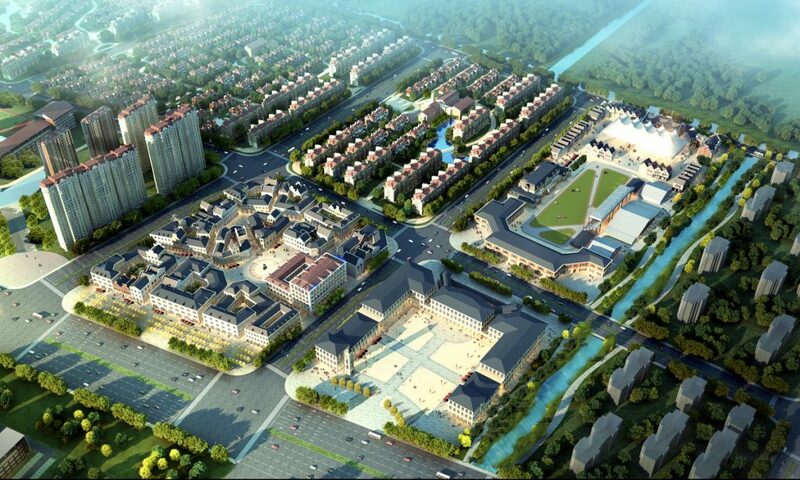 Anhui Yi Han Investment Co. Ltd.
Continue reading "Fuyang Wangdian German Town"
The project aims at a symbiosis of German and Chinese urban culture: by harmonious relations between built and natural environment, by generous plazas and green areas and intimate little squares and alleys. 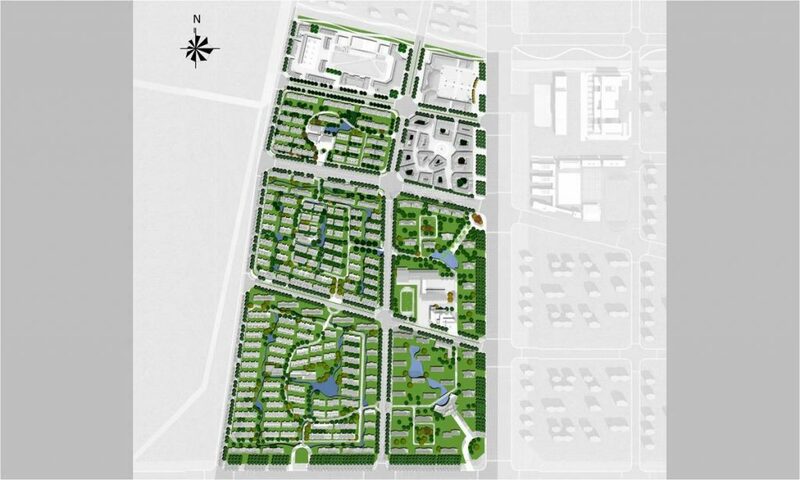 The program includes residential towers as well as low-rise town houses, convenient shopping areas in the style of German old towns, a representative district plaza surrounded by cultural buildings, and a flexible open space for different activities such as “Oktoberfest” and horse show venues. 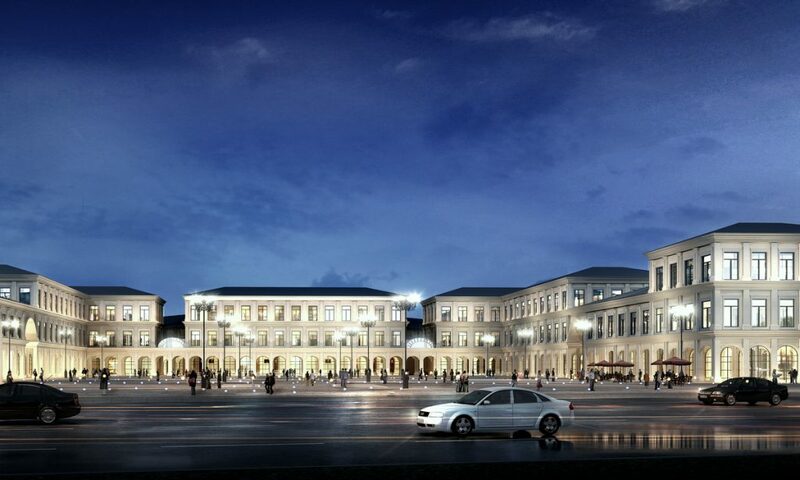 The ‘German Town’-inspired commercial area incorporates a 5 star business hotel facing its central square in the typical size of an ancient European town. Its counterpart, the half-open and large-scale urban plaza is located just opposite of the future district civic centre, to emphasize a formal urban axis which continues further west: with a brewery exhibition and research museum and different show venues. This north-western area is designed around an open space for equestrian shows and other related sporting activities. A club house, grandstands and the main Oktoberfest tents are encompassing a green field in their middle. The western end offers a restaurant and bar street, with a central festival tent for entertainment shows or exhibitions. 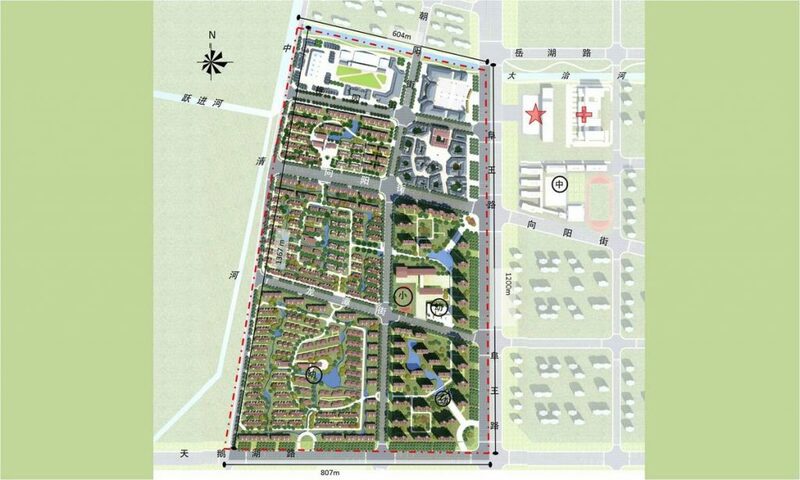 The residential areas reflect the importance of open space planning in today’s urban life. 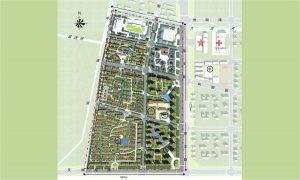 Big-scale landscaped green areas are a must to find balance with our natural environment and give back what is taken from nature by any new development. 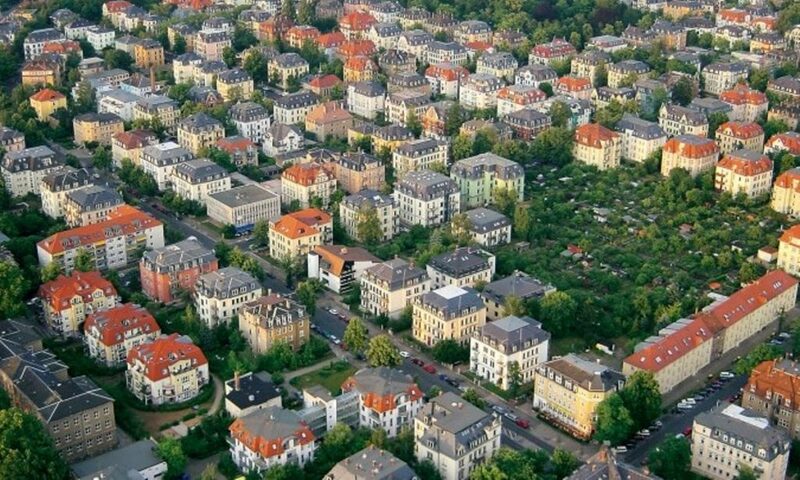 Wide green belts protect the quiet residential areas from the noisy traffic of the main roads. 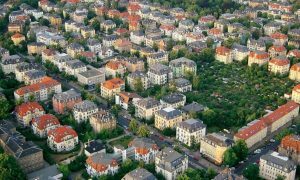 The vast open space in which the residential areas are embedded provides all the benefits of recreation, ecology and natural aesthetics – as necessary surplus values for citizens. 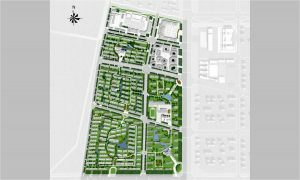 Each residential plot has its own central park, with a variety of water features, allowing residents to enjoy a green environment for leisure and sport activities. 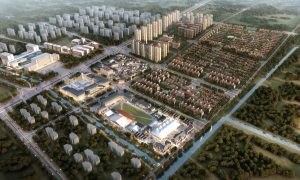 An extensive parkway interconnects the green areas with their different identities and provides a panoramic landscape experience along its winded course.